Aladdin Transfer & Storage is an interstate agent of Wheaton Worldwide (USDOT 70719 MC 87113 - Interstate Agent for Wheaton World Wide Moving) and has been trusted by many to move their valuable pianos. All of our movers have the necessary experience, expertise and equipment necessary to move your piano safely and properly. Why do you need a piano mover? Pianos are heavy: a spinet (or upright piano) weighs up to 500 pounds. Grand pianos can weigh up to a thousand pounds. Attempting to move a piano alone or without the proper equipment can be dangerous. The use of a few strong men can lift a piano. But balancing and moving a piano without damage or injury is challenging and should only be done by a professionally-trained piano mover. A piano is a major investment. Unlike normal furniture, pianos are delicate inside and out, and need special attention during the moving process. 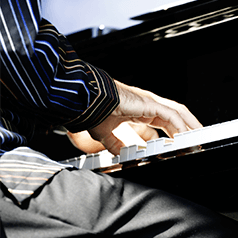 Professional piano movers know how to prepare, move, and load a piano properly. "I moved from Santa Rosa to Arizona last year and Aladdin Transfer & Storage handled the whole move. It truly was "Door to Door". The crew was great to work with and when they were all done everything was perfect "No Claim to File". Out of all my moves I will say this was one of the best if not the best. If you have to do the dreaded move give them a call you won't regret it."